Biswa Ijtema, one of the largest congregations of Muslims, will be held for four days in a single phase from Feb 15 this year. 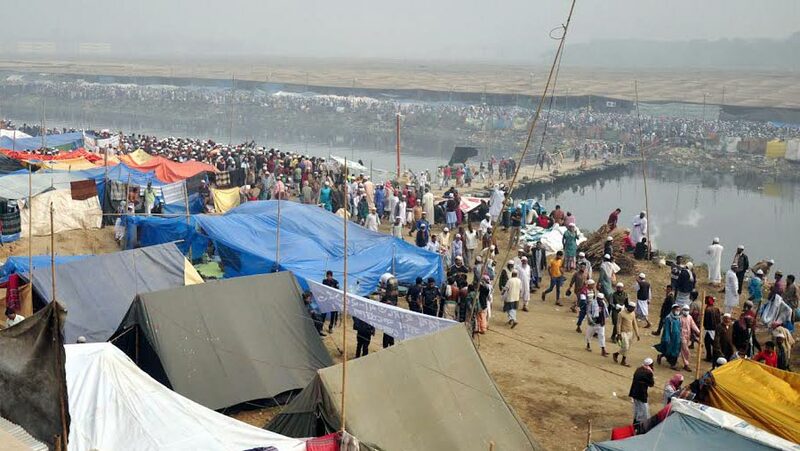 Maulana Jubair Hassan will conduct the Ijtema in the first two days while Syed Wasif Islam the last two days, said State Minister for Religious Affairs Sheikh Mohammad Abdullah on Tuesday (Feb 5). He made the announcement after holding a meeting with two groups of Tabligh Jamaat, local media reports said. Tabligh Jamaat leaders will decide who will conduct the Akheri Munajat, said the state minister. “Earlier, we had decided to hold the Ijtema on Feb 15-17, but following discussions with the two groups today, we've extended the time to four days. Now, the Ijtema will be held on Feb 15-18,” he said. Additional law enforcers will be deployed at the venue to fend off any unwanted situation, he added. The two-phase Biswa Ijtema was scheduled to be held on Jan 11-13 and Jan 18-20, but those were postponed due to unavoidable situation.